Delightful textured drum ring in silver set with faceted 6 x 4mm oval blue topaz. The width of the ring is approximately 8mm. Please state ring size. Also available in 9ct gold or 18ct gold vermeil. 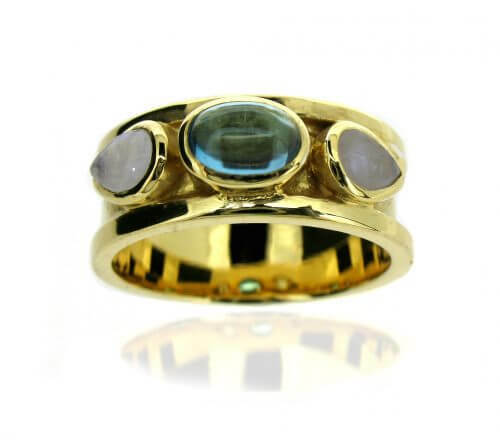 Stunning sterling silver rings in a range of gorgeous gemstones. 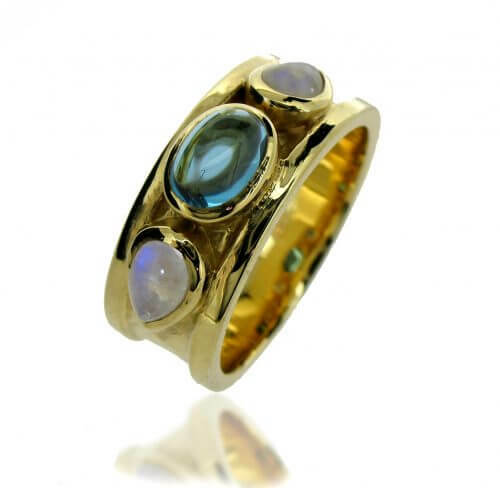 We have kept these rings simple as these beautiful gemstones need no embelishment. The rings are set with green quartz (very pale green), citrine (orange/yellow), amethyst (purple) and blue topaz (blue). Each ring is also available in 18ct gold vermeil. The size of the stones are 11x9mm. 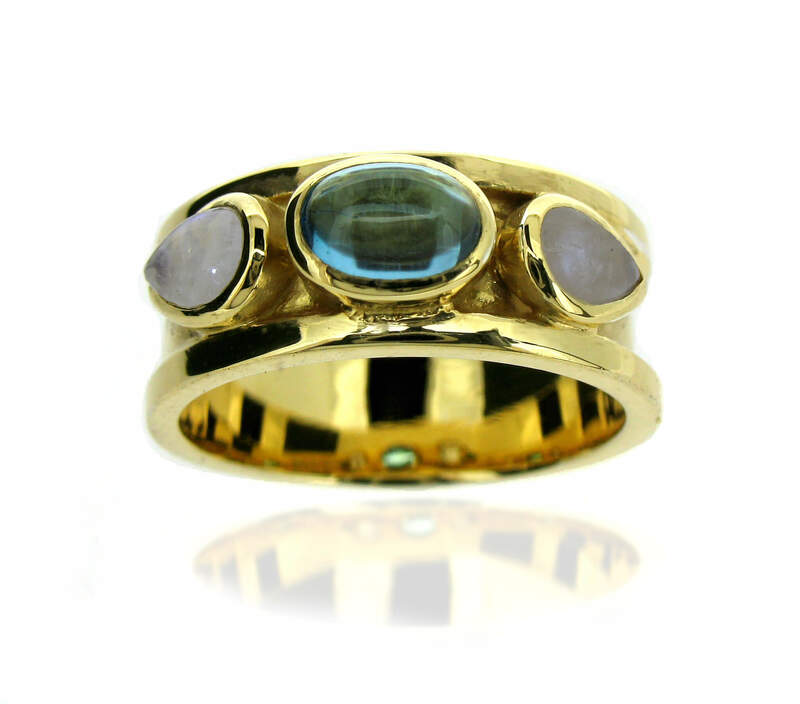 Sterling silver and 18ct gold vermeil drum ring set with oval faceted 7x5mm blue topaz surrounded by 2 cubic zirconia on either side. The ring is also detailed with small silver blobs highlighted by 18ct gold vermeil. The ring is approximately 1cm in width and approximately 1.5mm in depth at the edges. Elegant but simple checkerboard cut moonstone earrings set in silver and 18ct gold vermeil. The moonstones are 10mm round.